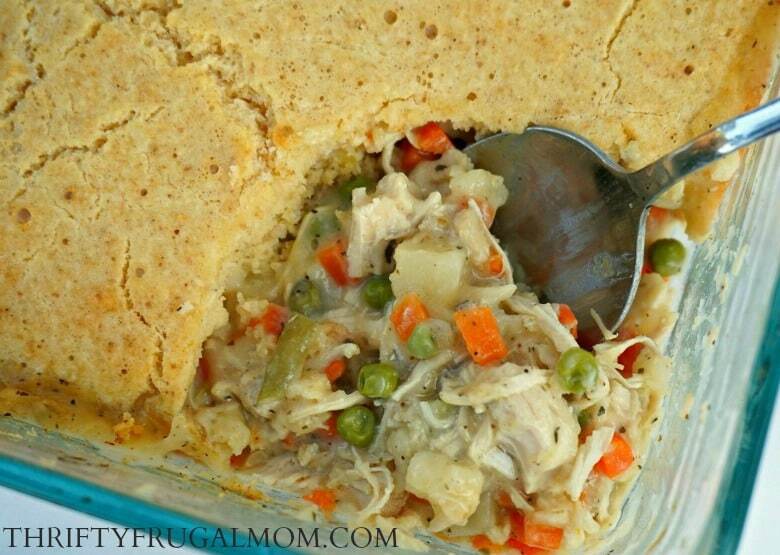 This Easy Chicken Pot Pie is perfect for nights when you need a quick, cheap dinner recipe. 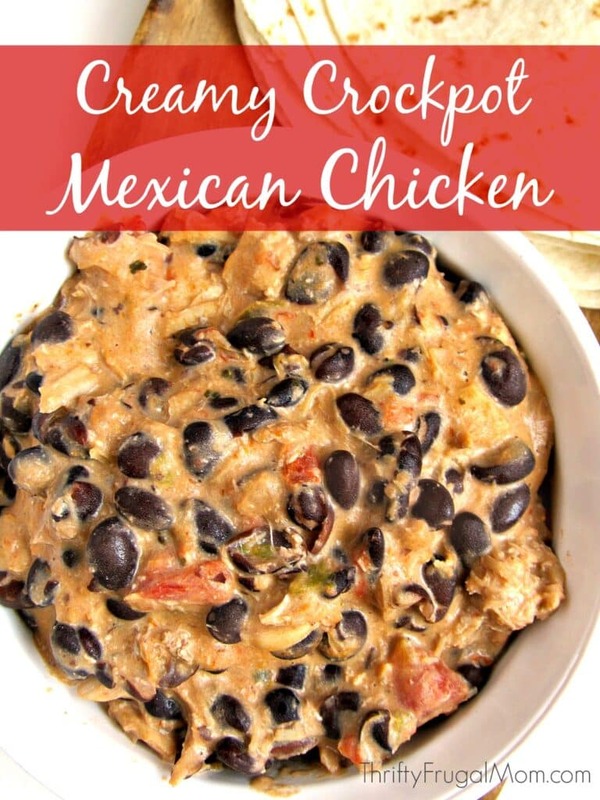 It’s hearty, super delicious and has become a family favorite! I’ll be honest, I love good, old fashioned chicken pot pie made from real homemade pie crusts. But because it tends to be more time intensive to make, I think I’ve only ever made it once in my life. 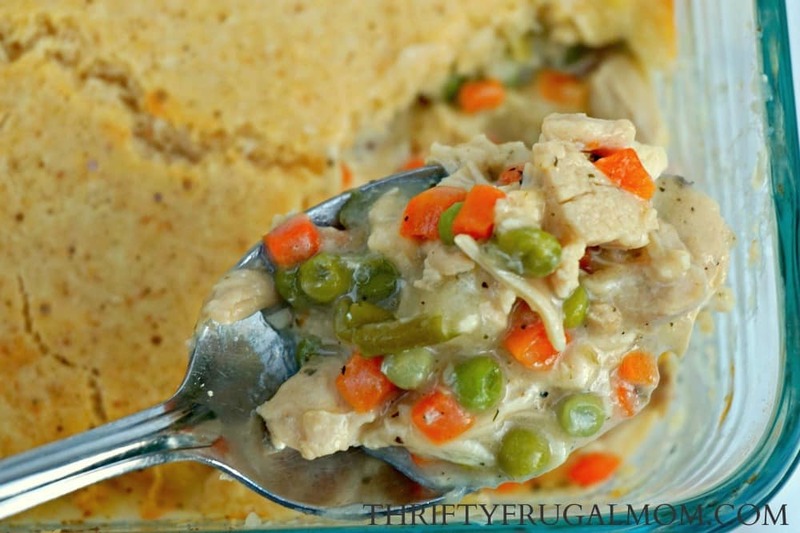 Plus, I discovered this Easy Chicken Pot Pie recipe that fits better with my busy life right now and allows me to satisfy my pot pie cravings in just a fraction of the time. And let’s be honest, recipes that get dinner on the table without much work are always a winner! A couple of tips. If you want to keep things super simple, you can just use your favorite blend of frozen mixed veggies for this recipe. I personally love to add in some potatoes for added heartiness. So I usually just grab a couple of carrots and potatoes, quickly dice them up with this favorite kitchen tool and then add in some peas or green beans until I hit the 1 ½ cups called for. Sometimes though, I simply clean out the fridge to make this. Well, sort of. You know how there are days when you realize have just random amounts of leftover veggies sitting there all orphan like? And maybe a lone baked potato too? Those are perfect to use for the veggie part of this recipe! Just mix them together, add a few more veggies if needed and bam, you just creatively gave those leftover veggies a new life! Since I’m all about saving time, I’ll often cook up a quadruple amount of vegetables when I go to make this. Then after I take out the 1 ½ c. amount that I need for the recipe, I divide the rest into 3 freezer safe containers and freeze it for future Easy Chicken Pot Pie dinners. If I forget to pull it out of the freezer in time to thaw, I simply pop it into the microwave on defrost for a bit until it’s mostly thawed and bam, I’m good to go! This little trick makes this already easy dish become ridiculously quick to throw together. As a result, it’s become a recipe that I often fall back on when I have a busy day without much time for dinner prep. I love that it allows me to still pull off a hearty, healthy meal to feed my tribe! 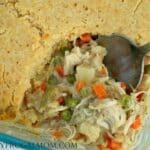 All the flavors of pot pie in one quick and easy to make dish! This cheap dinner recipe has become a hit with the whole family! Pour into a greased 1 1/2 qt. casserole dish. Using the same bowl, mix together the Bisquick, milk and egg. Spread on top of chicken filling. Bake at 400 degrees for 30 to 35 min. When done, top should be lightly golden. My Homemade Cream Soup Mix recipe. My Homemade Bisquick Mix recipe. I love how you have a system in place for those leftovers! And yes, this recipe should work perfectly for that. I love soup, but it's always nice to have other options too! Hi Julie! Bisquick is a pre-made baking mix sold here in the US and some other countries too. You can make your own though and that's what I prefer doing because then I know that there are no preservatives etc. in it. If you look at my recipe, you'll see "(I use my homemade version)" after the Bisquick ingredient. Follow the link there and you'll find my recipe. It's super simple! And if you don't think that you'll use it for anything other than this, you should be able to half the recipe. I'm flattered that you went and bought some cup measures so that you could make my recipes. :) I actually think the whole thing of using pounds and ounces is awesome, and to be honest, I'm pretty sure it's more accurate too. Yes! Those little time savers can make such a difference. I always think I need to be doing more of them but so often don't think about it either. Chicken pot pie reminds me of pot pie. I just loved the ways the peas would burst! Great recipe. This looks delish! I can't wait to give this dinner a try! I am loving this recipe and it's so EASY! Pinning to make next week. I know my kids will gobble it up. Yes, it's such a kid friendly dish! Hope you all love it! Thank you for the simple easy recipe. I plan on making it next week. Thanks! I LOVE all of your wonderful recipes! You are so welcome, Gloria!